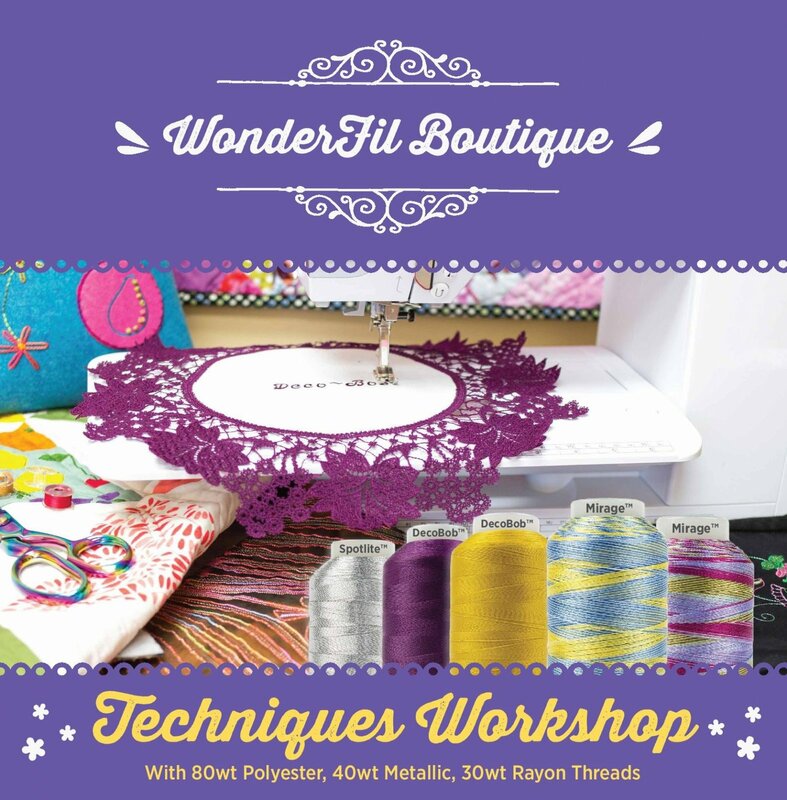 Join us for an exciting workshop packed with hands-on free motion and decorative stitching! Learn to use specialty threads featuring Spotlite™ metallic thread, DecoBob™ 80wt super fine thread, and Mirage™ embroidery thread. Embroidery techniques and other demos will be shown. 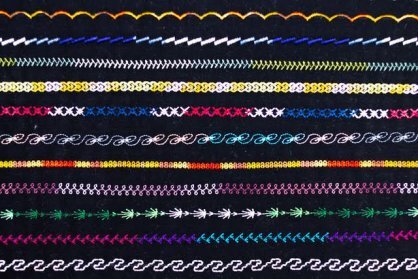 Includes FREE thread kit! A $37 value! Can you say, "Bargain Class?"